That heritage comes through every time you walk down a windy street and imagine the words of Robert Louis Stevenson of a city “liable to be beaten upon by all the winds that blow, to be drenched with rain, to be buried in cold sea fogs.” So as I blink through a rainy Edinburgh hello I can’t help but think that maybe there’s a connection between those writers before and those writers now. Of course they probably didn’t swear in quite the same way I do as I wander through the streets wearing flowery swimming shorts which were entirely appropriate for the ten minutes prior but not the unseen tempest that has swooped in so swiftly from afar. I’m not saying they didn’t swear as much, this is Scotland after all, I just think they probably used nicer words and weren’t wearing bright patterned shorts. 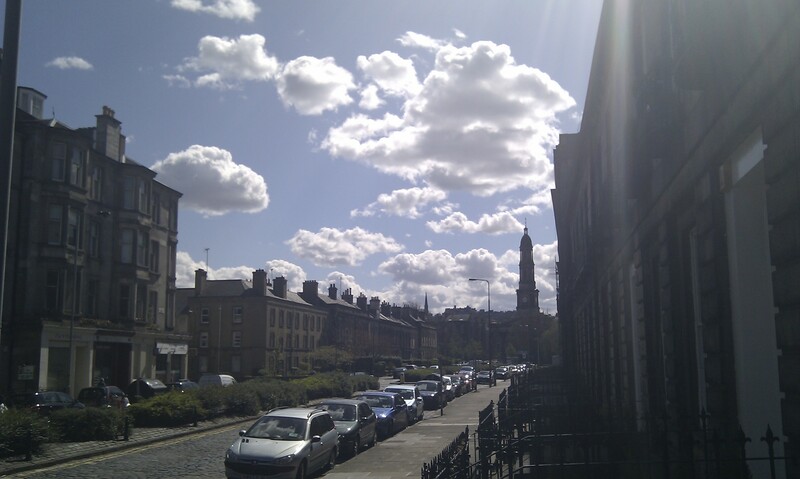 It is on the rare day where the sun shines and the wind sits still that my love of our pretty city is truly evident. It is a pleasure to walk down George Street on a morning and glance to one side as the clear blue sky frames a rock that reaches up out of the city. To stare at the castle sitting high in the sunlight is truly magnificent. It makes me smile like I’ve seen it for the first time on every occasion. To walk through the crescents of the New Town or the winding alleys of the Old Town is to see a different side of a city which even in the dreichist day has a beauty that can make you stop and watch as the rain slowly drips down your neck. And even if you’re swearing at the cold, and the lack of summer, and the never ending feel of winter, it’s still beautiful. Beautiful and often bloody freezing. 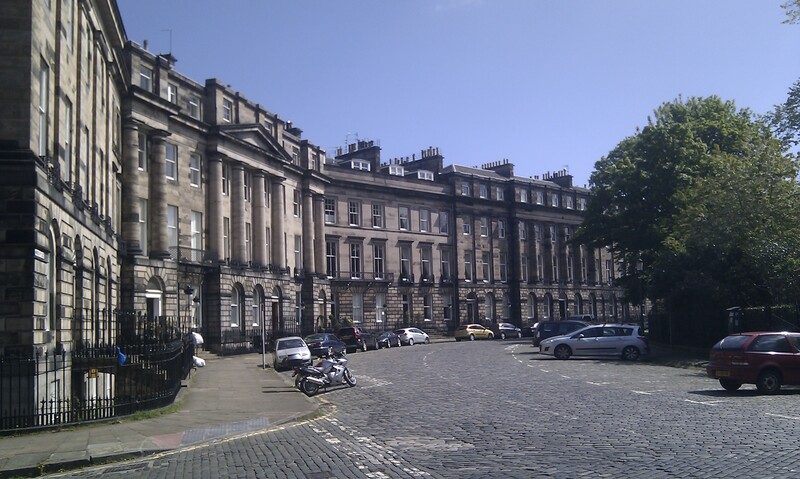 Winston Churcill once said “we shape our buildings, and afterwards our buildings shape us.” I think that’s true, and Edinburgh in its own way has shaped a kind of awe in me. It’s an awe of all that has come before, great writers like Robert Louis Stevenson, Arthur Conan Doyle and Sir Walter Scott. 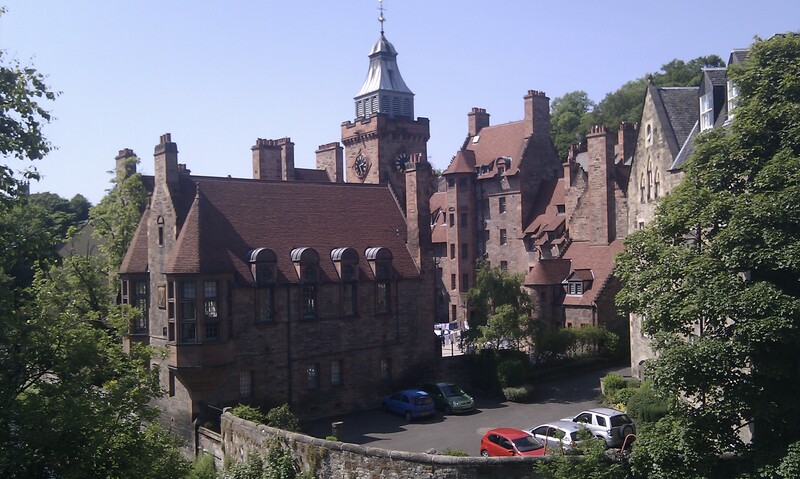 But it’s also the triumph of human engineering to make a city so steeped in age and beauty as that I live in. That awe is in knowing those authors of years past not only walked the same streets but, in more modern terms, got shat on by the same awful weather. After it’s enforced absence, as the clouds suddenly clear, the sun begins to shine and you realise however that those same people also looked up with awe at a castle that rides our rare blue sky. They walked a Royal Mile more likely to be riddled with filth but which is, in many places, made up of the same cobble stones we still walk today. And as I take a stroll down those same streets on the days I reach out for inspiration, or simply want to take a break from the blurry words that merge together accusingly on a screen, I realise that inspiration is all around me. It’s not just those buildings that have shaped us but the fact they shaped those before. And if those in whose path we tread could be inspired and write such wonder as they have, then surely the city can help in shaping the same path for others. There is the heritage that UNESCO spoke of, but in that, there also is the aspiration for the future. Put aside the wind, the rain and the fleeting promise of a summer so infrequently realised. 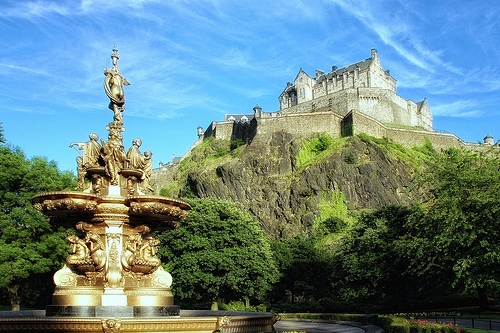 Edinburgh is our muse, and I will return to it regularly in the continuation of my own story.